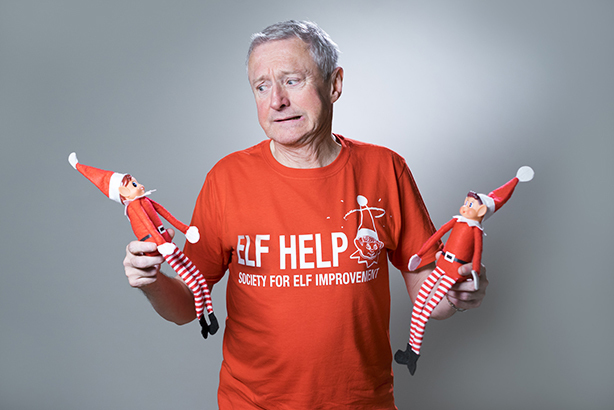 PR agency Taylor Herring paired up Louis Walsh with the popular elf toys in a Christmas 'appeal'-style integrated campaign. Taylor Herring, appointed in June by the toy brand's owner PMS International Group, created the film, which was produced by the agency’s production arm St Marks Studios. Featuring on online channels including Facebook and YouTube, the ad asks families to share set-up pictures of their naughty elves using the hashtag #ElvesBehavinBadly. The campaign will extend across social media channels, with comedians and Twitter influencers also taking on the elf photography challenge. Daily content will be broadcast across the brand’s social media channels, alongside a reactive Twitter newsroom fronted by badly behaved elves. Louis Walsh said: "Last year, Elves Behavin’ Badly caused a viral sensation but this year they’re set to top the Christmas toy charts. The naughty elves have become social media stars in their own right taking over the nation’s Instagram and Facebook feeds as parents get ever more creative and ingenious with the set ups. I can’t wait to see what people get up to with their elves in the run up to Christmas." PMS International Group MD Paul Beverley said: "We wanted to make a splash this year with a Christmas advert unlike any other. In true Elves Behavin’ Badly style, it’s very tongue-in-cheek. We hope parents and children alike will get involved with sharing their elf antics on social media and we’ll be rewarding the best with prizes every week."